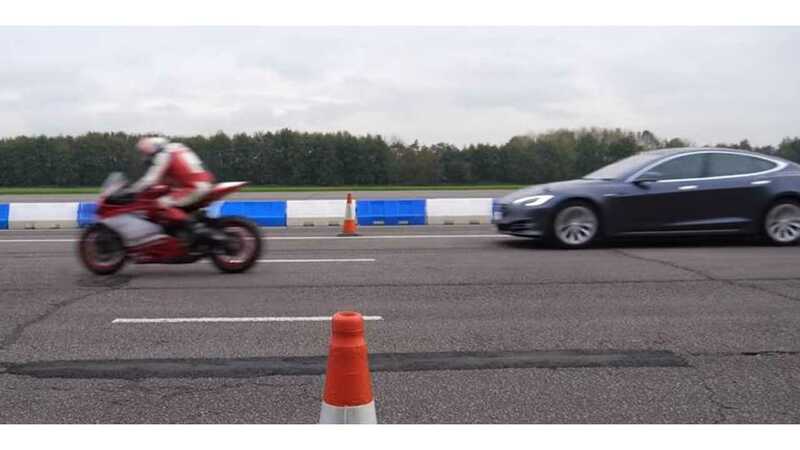 How does a Tesla Model S P100D fare against a Superbike? 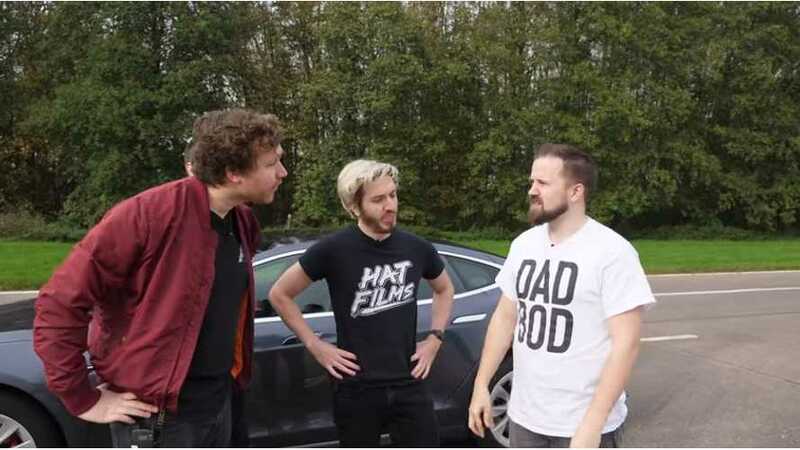 If you haven't had the "pleasure" of watching any of Hat Films' work, it's interesting, to say the least. Whether or not it's up your alley will depend on how you feel about shows like the old Top Gear, or British comedy in general. There's no doubt it's spot on Top Gear B-Roll editing, and these guys do it well. Anyhow, this Tesla Model S P100D is loaded up with four passengers and weighs in at about 4,500 pounds (~2,040 kg) heavier than the 1,000cc Ducati Superbike. Not to mention that the bike is piloted by a championship rider. In the quarter-mile standoff, the Model S has no problem beating the superbike off the line, but the bike overtakes with ease. Hat Films' Mark attributes the loss to the fact that he ate too many Jaffa Cakes. C'mon, he's wearing a "Dad Bod" shirt. The group decides to run the race again with only Trott, their lightest member, driving the Model S with no passengers. It turns out that shaving some 500 pounds off yields a different result, but only after the car is taken out of PARK. The video doesn't end there, however. Check it out for yourself!